Amna Akbar’s research and teaching focus on social movements, critical theory, and policing, race, and inequality. Her scholarship explores the intersections of national security and criminal law, and the potential of social movements to transform our thinking about law, law enforcement, and law reform. She writes broadly for academic and popular audiences, in outlets like NYU Law Review, UCLA Law Review, NOMOS, Citizenship Studies, the Journal of Legal Education, Law and Political Economy, the Nation, Boston Review, and more. In her teaching and lawyering work, she is deeply engaged with law and organizing in Ohio and around the country. Professor Micah Berman holds a joint appointment with The Ohio State University Moritz College of Law and the College of Public Health. His scholarship examines the intersection between public health research and legal doctrine, with a focus on tobacco policy. He has published articles in a number of leading journals, including the American Journal of Law & Medicine, the Brooklyn Law Review, and the American Journal of Public Health. Dr. Chandrasekaran’s research investigates innovation, learning and knowledge creation issues in a variety of areas including high-tech R&D, manufacturing and health-care delivery. In recent years, he has begun to study the challenges involved in developing patient-centric healthcare models by conducting field experiments in collaboration with several physician and nursing leaders. Professor Choi’s current work explores the interaction between the tort liability regime and cyberphysical systems such as self-driving cars. He has also written about data privacy through a series of lenses including criminal procedure (“For Whom the Data Tolls,” published in the Cardozo Law Review); intellectual property (“A Prospect Theory of Privacy”, published in the Idaho Law Review); and anonymity (“The Anonymous Internet,” published in the Maryland Law Review). Professor Parasidis’ scholarship focuses on the regulation of medical products and human subjects research, the interplay between health law and intellectual property, and the application of health information technology to public health policy. He has published extensively in law reviews and health policy journals, is co-author of a leading casebook on the ethics and regulation of research with human subjects, and has a book under contract with Oxford University Press. The Greenwall Foundation awarded Professor Parasidis a Faculty Scholar in Bioethics fellowship for 2014-2017. Professor Parthasarathy directs the Data Mining Research Laboratory which is a part of the High End Systems Group and affiliated with the Laboratory for Artificial Intelligence Research. I am broadly interested in the areas of High Performance Data Analytics, Graph Analytics and Network Science, and Machine Learning and Database Systems. National Science Foundation, the Department of Energy and the National Institutes of Health have been the primary supporters of his group’s research. Professor Peter M. Shane came to Ohio State in 2003 from Carnegie Mellon University’s H. John Heinz III School of Public Policy and Management. He is an internationally recognized scholar in administrative law, with a specialty in separation of powers law and has co-authored leading casebooks on each subject. He has served on the faculty at the University of Iowa College of Law and was dean at the University of Pittsburgh School of Law. In addition to his outstanding law teaching and scholarship, Professor Shane has received a National Science Foundation grant for interdisciplinary study related to cyberspace and democracy. Professor Simmons’ research focuses on the intersection of the Fourth Amendment and new technology. He has written about the search of cell phones in The Missed Opportunities of Riley v. California, 12 Ohio State Journal of Criminal Law (2014), the use of new surveillance techniques in Technology-Enhanced Surveillance by Law Enforcement Officials, 60 New York University Annual Survey of American Law 711 (2005)), and hyper-intrusive surveillance in Can Winston Save Us from Big Brother? The Need for Judicial Consistency in Regulating Hyper-Intrusive Searches, 55 Rutgers Law Review 547 (Winter 2003)). Professor Turner is a leader of Ohio State’s Center for Ethics and Human Values and its COMPAS program, a member of the Democracy Studies Program, and a regular participant in the Political Theory Workshop. 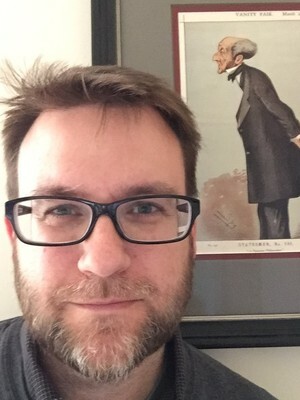 His work focuses on utilitarianism and liberal political thought, especially as it relates to the moral and political philosophy of John Stuart Mill. He has published articles in a number of leading journals and is working on a manuscript entitled The Rightful and the Right: The Structure of JS Mill’s Moral and Political Philosophy.